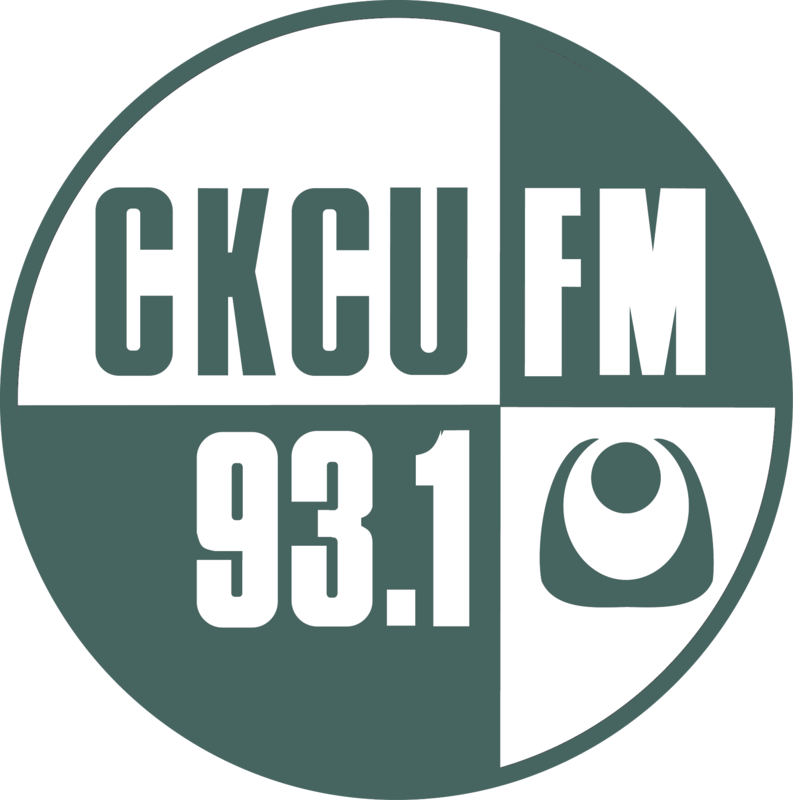 CKCU FM, Carleton University’s Campus Radio Station. In the coming months you’ll have the choice to support student groups across campus or to opt-out of the levies that keep these organisations alive. 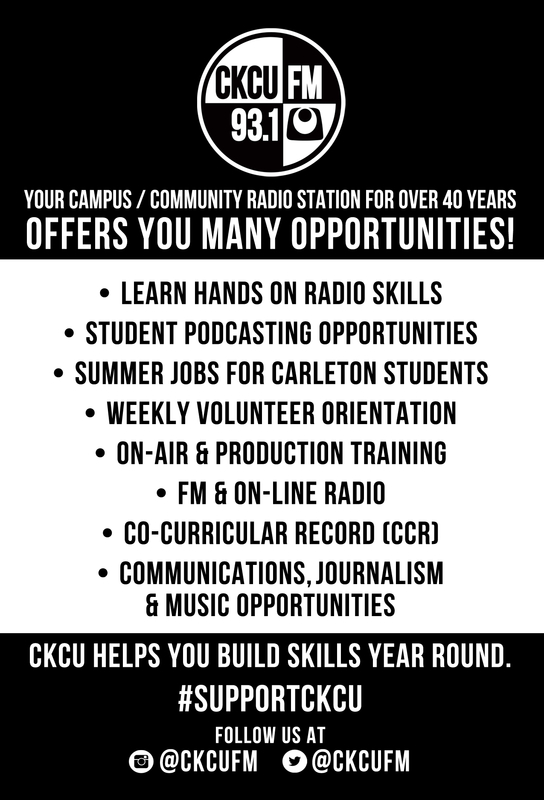 Providing countless opportunities and services to Carleton students (as well as the Ottawa/Gatineau area), CKCU is your FM and online radio station here on campus! 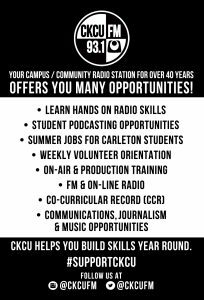 Providing opportunities with hands on radio skills, podcasting, summer jobs, communications, journalism, music, live bands and more, CKCU is proud to support Carleton students. 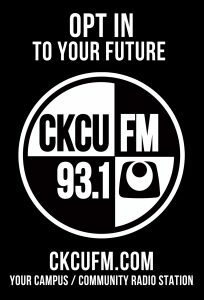 Your levy means a lot to CKCU FM. 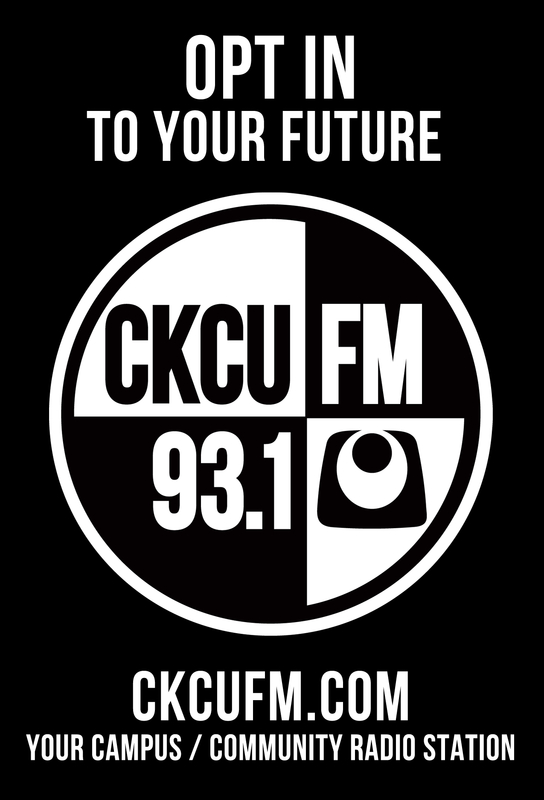 To continue to provide radio content 24/7/365, CKCU is asking you to opt-in during registration and take advantage of your campus station now, and into the future. Your $14.25 once a year makes a big difference in what we do and the opportunities we can provide. Help us remain a part of the Carleton campus and continue to be a part of the student experience for years to come.